Offering you a complete choice of products which include bogie suspension spring seat. 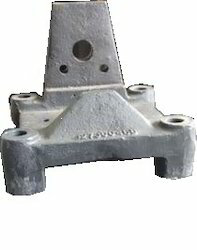 We are one of the noticeable providers of a quality grade array of Boige Truck Spring Seat for our valued clients. The offered products are manufactured using cutting-edge technology and finest quality raw material at our vendor's end. These are extensively commended by the clients for their longer service life, robust construction and optimum performance. Moreover, offered range of products is known for its availability in different sizes and technical specifications.